Lighting a kitchen is like accessorizing a favorite outfit. The sky is the limit when it comes to choosing styles, shapes and sizes. 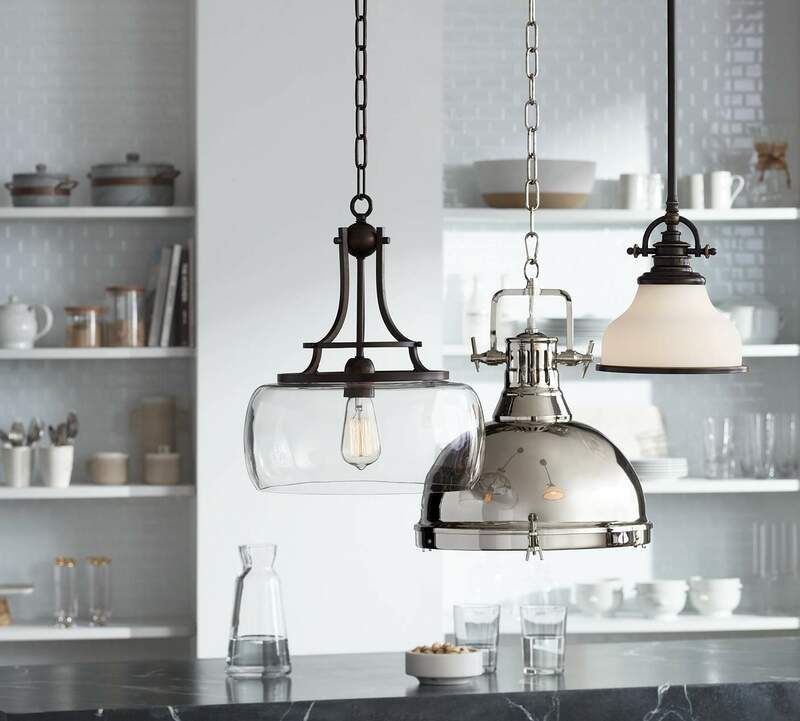 Whether you choose an antique crystal chandelier to hang over a farmhouse kitchen table or a few modern hand blown glass pendant lights for over a kitchen island, here are three key tips to keep in mind when hanging pendant lighting in the kitchen. Paying attention to a few tips will help you hang your new kitchen pendant light. 1. Hang the pendants 30 to 36 inches above tables and counter tops. This is the optimal, practical height for over-counter installation, especially when it comes to task lighting over a kitchen island. 2. Hang lighting so that it doesn’t block views across the kitchen. Sit at the island or table and make sure you can easily see the person sitting across from you. 3. Put lighting on dimmers. Using a wall dimmer is the perfect way to set the mood for everything from romantic dinners or casual family gatherings. Whether you choose a modern pendant made of glass or a more traditional shaded chandelier, remember these rules of thumb so your lighting takes center stage. Check out our complete selection of kitchen pendant lights for inspiration for lighting for your own kitchen!